The Indigo Press is an independent publisher of fiction and creative non-fiction, bringing together a conversation-starting curation of books that offer bold ideas and beautifully-crafted stories. We are open to writing from around the world and literature that explores radical thinking and literary innovation in both form and approach. 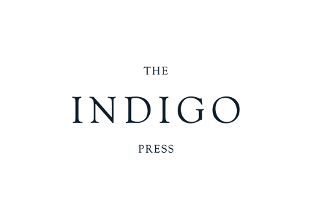 The Indigo Press will publish its launch titles in summer/autumn 2018. The Indigo Press is the latest addition to a portfolio of book businesses that comprise the MILD Group, which includes long-established rights specialists The Marsh Agency, award-winning independent bookshop Dulwich Books, and LiveLit, a successful literary events series, that includes two annual literary festivals. Sign up to our occasional newsletter and be the first to listen to our Mood Indigo podcast and playlists curated by our authors, plus receive exclusive event invitations, see our cover reveals and receive 20% off all orders from our web store. By signing up to receive email updates from The Indigo Press you are agreeing to our terms and conditions. Your details will not be shared with third parties. If you are under the age of 13, please ask your parent or guardian to register using their email address. You can opt out of communications from The Indigo Press at any time.